Broken Social Scene will be heading back to the UK & Ireland this year having just announced a string of dates for this May & June with shows in Glasgow, Leeds, Birmingham, Bristol, London and their first Dublin date in 10 years. 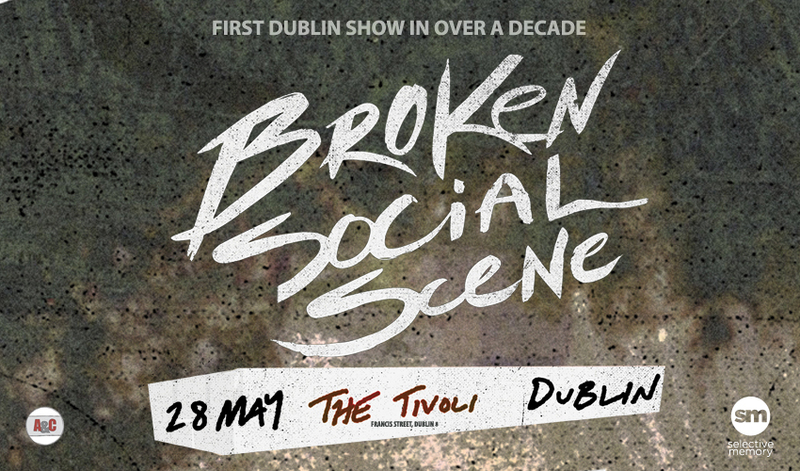 Promoters Selective Memory are bringing Broken Social Scene to Dublin's Tivoli Theatre on 28 May 2018. The band released their first new album in seven years last year via City Slang, to a rapturous response from fans and critics alike. 'Hug Of Thunder' is everything BSS fans love from the Canadian collective and then some, an album overflowing with glorious open chords, multi-voice harmonies, spacious psychedelia-tinted breakdowns, and more. Since the record came out, the band have played a multitude of triumphant shows across Europe, America & Canada. Broken Social Scene live in Ireland for the first time in a decade.